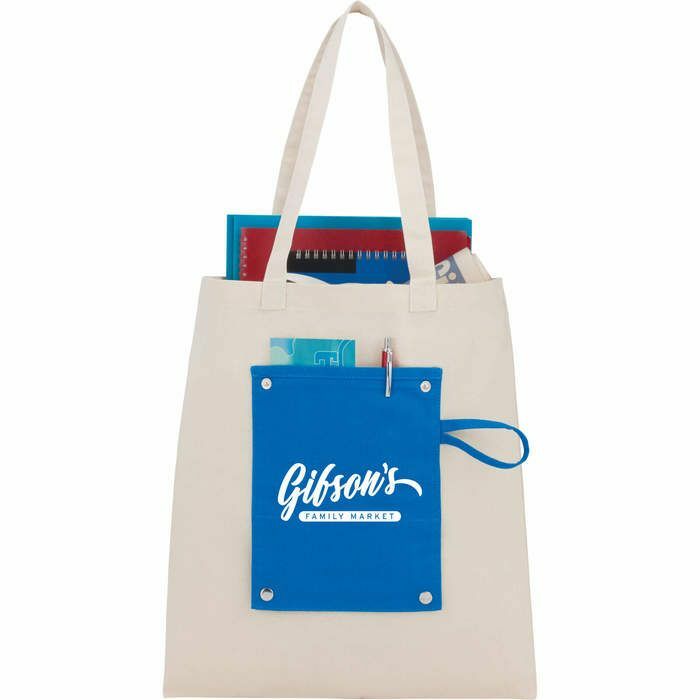 The 6oz Cotton Canvas Packable Tote features a durable 6oz main material that is easily washable. It also folds into a compact size with the front snap closures. When folded, the front pocket has a hanging loop for easy storage or display.